A native New Yorker, he has performed throughout the United States and in over 30 countries. Taking listeners on captivating journeys across four centuries of music, he has appeared at many of the world's foremost concert venues, including Carnegie Hall, Lincoln Center, the Kennedy Center, the BBC, London’s Wigmore Hall, the Berlin and South West German Radios, and Vienna’s Arnold Schönberg Center. He has also performed as soloist with the Munich and Polish National Radio Orchestras, San Francisco, Utah, and Seattle Symphonies, UNAM Philharmonic of Mexico, and American Composers Orchestra, and as a sought-after chamber music collaborator with the Borromeo, Lark, St. Lawrence, and St. Petersburg String Quartets, Dorian and Arioso Wind Quintets, and New York Philharmonic Ensembles. His innovative broadcast series, CENTURYVIEW, on National Public Radio was heard regularly by over one million listeners on 200 stations coast-to-coast. A prolific recording artist, his large discography ranges from Brahms and Tchaikovsky to the present on labels such as BMG/Conifer, New World, Harmonia Mundi, Bridge, Albany, Koch International, and SONY Classical, which has re-released in Europe his acclaimed recording with Jonathan Sheffer and the EOS Orchestra of Gershwin’s complete works for piano and orchestra. Mr. Boriskin has worked with virtually every major American composer of the past 30 years. He is a frequent guest of major educational institutions for master classes, residencies, workshops, and lectures, and is also an accomplished writer whose work has been published by Schirmer Books, American Record Guide, Symphony, Fanfare, Piano and Keyboard, Clavier, Stagebill (Lincoln Center), Chamber Music, Ballet Review, and other periodicals. He was Music Director for three seasons of Mikhail Baryshnikov’s White Oak Dance Project, overseeing the musical production and performance of nearly 250 concerts on ten national and international tours. In addition, he has served as artistic advisor or program consultant for many prominent organizations and institutions, including the United States Department of State, Carnegie Hall, Lincoln Center, Tisch Center for the Arts at the 92nd Street Y, New Line Cinema, and Columbia University’s Miller Theater, among many others. Michael Boriskin was named Artistic Director of Copland House in 1998, and his title was expanded to include Executive Director in 2003. As Artistic and Executive Director, he works closely with the Board of Trustees to guide the institutional development and administration of Copland House, and formulate and implement all of its programs and operations. Retired software executive. He attended Columbia University, where he was involved in broadcasting classical music at the student radio station, WKCR. He received an MBA in Finance from New York University, and founded a software company in 1983, which he lead for two decades, giving him extensive experience managing a small organization and making it prosper. He has long been a dedicated amateur pianist, and once met Aaron Copland. He became interested in Copland House after attending some events in 2003. “I am honored to be able to serve Copland House,” he noted, “because our mission is noble.” He was Copland House Treasurer from 2009 to 2013. Managing Director, Morgan Stanley. He has been in the wealth management industry for nearly 25 years at Morgan Stanley and its predecessor companies. Active in the local community, he serves on several non-profit boards, including the Neuberger Museum of Art and Usonia, a community founded by architect Frank Lloyd Wright. His lifelong love of music drew him to Copland House. Principal, Brain & Spine Surgeons of New York; Director, Institute for Neurosciences, Northern Westchester Hospital, Mount Kisco, NY. A leader in minimally invasive neurosurgery, he was a board member of the American Association of Neurological Surgeons and President of the New York Neurosurgical Society. He has been Assistant Clinical Professor at New York Medical College (Surgery Department), Yale University Medical School (Neurosurgery), and, currently, Columbia University Medical School (Neurosurgery). He has long had a deep passion for the theater, is a devoted violinist, and has been extensively involved in civic affairs and many charitable organizations. Retired corporate executive. He was associated for 30 years with Exxon, where he held various positions in refining, supply and transportation, and marketing, including oversight of Exxon’s philanthropic support of U.S. performing arts organizations. A graduate of Princeton (chemical engineering) and Columbia (public administration), he is Chair of the Helene Fuld College of Nursing in Harlem, and, for the National Executive Service Corps, has been a volunteer business consultant to not-for-profit organizations. He has noted that new music enriches lives, but feels there is little institutional support for its creation, which is where organizations like Copland House become so important. Senior Vice President for Medical Affairs and Chief Medical Officer at Phelps Memorial Hospital Center in Sleepy Hollow, NY; Associate Clinical Professor of Medicine at Mount Sinai School of Medicine. As a Columbia University undergraduate, he was Music Director and recording engineer at radio station WKCR. Interested in music his entire life, he was piano student with the distinguished composer-pianist Ruth Schonthal, and is a longtime member of the National Academy of Recording Arts and Sciences (NARAS). He was Copland House President from 2003 to 2013. Partner in New York City law firm, Gerald & Lawrence Blumberg, LLP, which focuses on estate planning and administration, charitable giving and non-profit organizations, and related areas of the law. Larry has served on the board and numerous offices of Israel’s Weizmann Institute of Science, and its development arm, the American Committee for the Weizmann institute of Science, where he was its chair for six years. He received a PhD Honoris Causa from the Weizmann Institute of Science in 2001. Larry is a graduate of NYU and Columbia Law School. His life-long love of music was transmitted through his mother, who began taking him to New York Philharmonic concerts at age 11. Senior executive at Agenus Inc., a biotechnology company developing therapeutic vaccines for cancer and infectious diseases. His many years of experience there includes managing scientists working in research and development, overseeing the company’s intellectual property portfolio, and providing scientific guidance in support of clinical, regulatory and business development functions. His interest in Copland House stems from the indelible memories of his early and inspirational visits at Rock Hill with his great-granduncle Aaron Copland, for whom he played clarinet. He has been Secretary since 2007. Freelance commercial writer. He has had a long career in risk management and insurance brokerage with publicly-held and family organizations. As a writer, he has worked with public and private companies and finance industry professionals on public relations, and advertising and promotional projects. His interest and devotion to Copland House spring from Aaron Copland, who was his granduncle. He has always loved Copland’s music and finds his remarkable life story fascinating. As a Trustee, he hopes to preserve the legacy of the generous and collegial manner in which Copland advocated for American music and his fellow composers. Chairman (and President, 1980-2004), Irvin Simon Photographers, a large independent school and camp photography company. Previously a marketing executive for several major New York advertising agencies. his extensive non-profit experience includes 20 years on the board (including the presidency) of Children’s International Summer Villages, and board service for the Ben Appelbaum Foundation and others. He also founded Faces of New York Mosaic Village, a free summer camp that helps diverse New York City children become global citizens and live harmoniously with others. Raised in Baltimore, his interests include reading, golf, skiing, boating, gardening, and raising chickens. Vice President, Cortlandt Manor Rotary Club. She has been a longtime resident and business owner in the northern Westchester area, with many affiliations in arts and education. She was president of the Peekskill Community Concerts Association, at which time she met Copland. She was also president of the Paramount Center for the Arts, and helped organize Copland’s 86th birthday celebration there. She was among Copland House’s first Trustees, and served early on as Vice President. She has been pleased to support Copland House’s growth and development. National Training Manager, Sony Broadcast & Production Systems Division, Park Ridge, NJ. He is a classically-trained violinist, and also plays various contemporary styles of music on the electric violin. Being involved in the professional broadcast equipment business, his interests range through all things audio and video, but also include a love of nature and an appreciation for how Copland communicated so effectively and widely. He lives with his family less than a mile away from Rock Hill. Sharing Copland's home and helping to cultivate this purely creative musical environment has been a joy. Attorney in private practice with a focus on general representation of business organizations and employment law. Raised in Westchester County and an alumnus of both Columbia College and Columbia Law School, he has worked successively at Fried, Frank, Harris, Shriver & Jacobson, Metromedia Inc., and Orion Pictures Corporation. He has also served on the boards of the Alcoholism Council of Greater New York and Dance Theater Workshop. He has had a life-long interest in the arts in general and music in particular, and has long been involved in commissioning, promoting, and supporting new work. Supervisor, Town of Cortlandt (NY). She has been Cortlandt’s longest-serving Town Supervisor, holding the position since 1991. Prior to that, she was a Town Councilmember for four years. Supervisor Puglisi has overseen many renovation, public works, and parks projects, beautification and environmental initiatives, and large-scale commercial and building ventures in the Town. She was among the first to realize the importance and potential of Copland House, and an essential early and stalwart supporter of grassroots plans to preserve and restore the home. 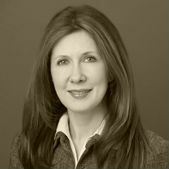 Litigation partner at Gibson, Dunn & Crutcher LLP, an international full-service law firm, where she is co-chair of the Firm’s Electronic Discovery and Information Law Practice Group. Her work focuses on complex business litigation, including securities fraud, hostile M&A, and litigation against the City and the State. Her interest in Copland House arises from her love of music and, specifically, of the piano, which she played for years as a child. She also serves on the boards of the Yale Club of New York City and the NYU Law Alumni Association. Retired management consultant. She has had long and extensive experience in the non-profit arena. She has served on the Boards of the Purchase College (SUNY) Foundation, Science Accessories Corporation, Connecticut Community Bank, Sacred Heart University, and the University of Bridgeport, and has been on Advisory Boards at Caramoor and the Roundabout Theater. She is the retired president of Kensington Management Consultants. Her interest in Copland House grows out of her deep concern for the arts, and desire to enlarge its presence in the community.